Recording from an Installation in Corps de Garde, Groningen, October 1981, issued the same year as the legendary Machine Guitars LP. 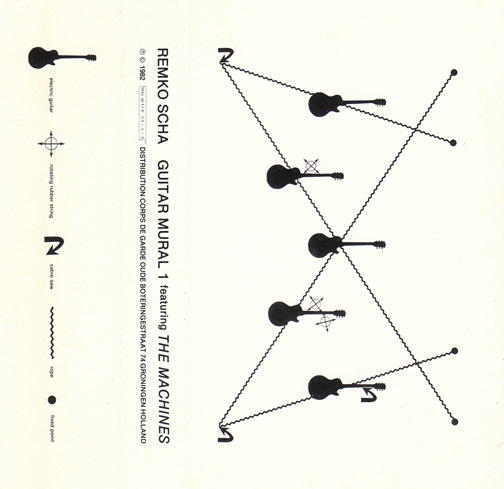 Relentless, maddening minimalist music “played” on five guitars via a mechanized system independent of the artist. My 320 rip/scans, thanks Jed for the tape loan! i love Machine Guitars. thanks for this! Yowza!! Thanks for this one Spencer! Yes, thank you! This is spectacular.